High quality manufacturing in Derbyshire, UK. A proven basecamp shelter on a multitude of Himalayan and Polar expeditions, which also lends itself to year round family use. Updated for 2009. 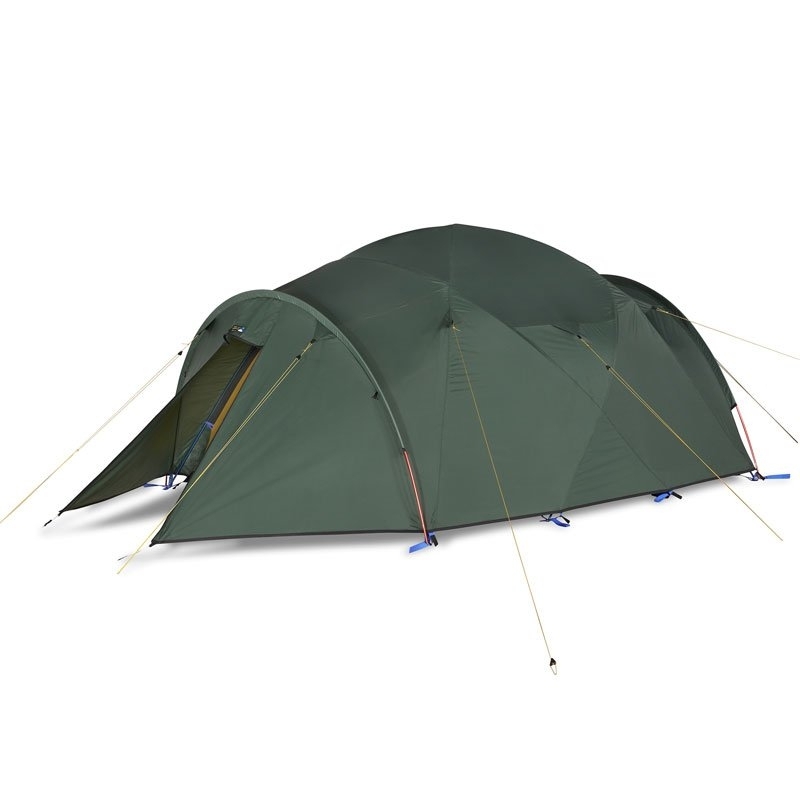 The stable, geodesic design is simple to pitch with 4 colour coded poles and sheds weather efficiently in combination with the Watershed Endurance flysheet. 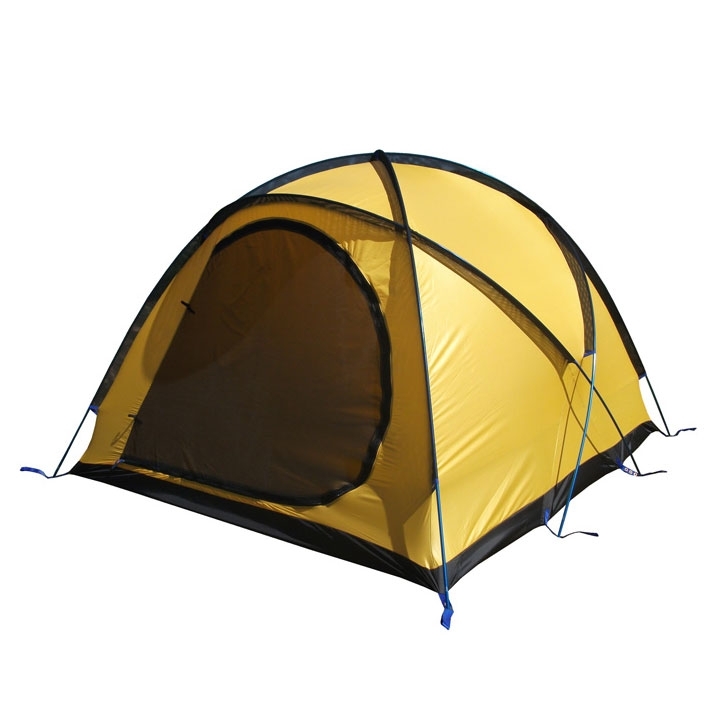 Good storage space from two, pole supported, porches allows your gear to be kept out of the way of your access. A proven design and high quality fabrics make the Terra Firma an ideal choice for year round use and it is easily split to carry between 4. 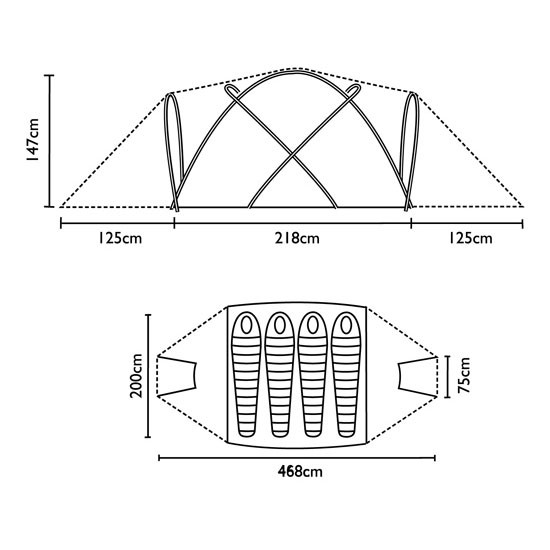 I bought this tent to use as a 4 season base camp tent. I had always wanted one but put off by the expense. Prior to buying this had had a hyperspace. The tent was much better than the hyperspace that extra bit of headroom made all the difference. It is advertised as a tent for 4 people this would not be realistic it is more of a 3 man tent.&nbsp;The tent is well put together well and came up with the goods a lot of money but worth every penny.